Send and Receive Apple pay cash via Message is a new trend for quickly send money to your Friends without your Credit card, Debit card securely. There is some functionality that works for Cancel, Accept and Dispute payment before your Friend Accept apple pay cash to Wallet app. Read the below cases and Get Rid “Verify your Identity” on iPhone XS Max, XS, XR, X, iPhone 8/8 Plus, iPhone 7/7 Plus, iPhone 6S/6S Plus. Note: Apple Pay Cash for Message not Available on iPhone 5. Double Check your Card info saved in Wallet app. Open Wallet app on iPhone > Tap on Apple Pay Cash Card > Get full card info by a tap on (i) button. Are you getting the error on Apple Watch, Configure settings on iPhone. Apple Pay Cash for iMessage only launched in the USA at first. And Will be available soon other countries and around the world. 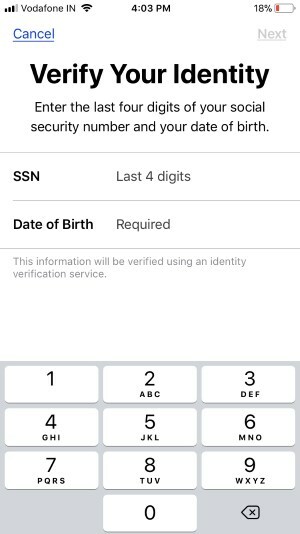 You are not in the USA then you won’t verify your Personal identity if you are the iPhone Owner. So, Apple Pay Cash is not Available in UK, Canada, Australia, New Zealand, Dubai, and Other Countries. Without Verifying identity we can transact under $500. For Transfer & Send more than $500 you must need to Apple pay verifies identify. Apple pay for iMessage activates for the people online for 18 or 18+ Old. Enter the correct personal details like Name, Address, Social Security Number, Date of Birth, and Answer of personal History, Also Send Image of your Personal Driving license or Photo ID proof. Check Internet connection: It doesn’t matter using Wi-Fi or Cellular. You might be Verify before purchase using Apple Pay on App Store, Web Apple Pay, Send money or Receive money. Force Restart iPhone or Hard Reboot (iPhone XS Max, Xs, Xr, X, iPhone 8, iPhone 8 Plus, iPhone 7/7 Plus, iPhone 6/6 Plus, iPhone 5S)or Force Close app and try again. 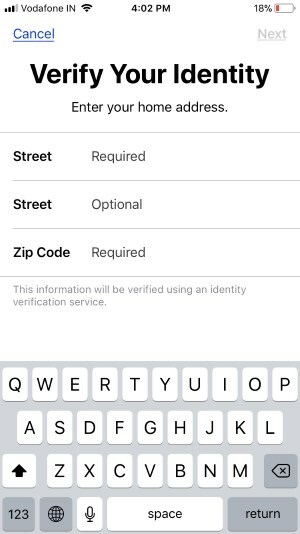 Above all the possible fix and guide for submit Verify your Identity step on your iPhone.